The adults only Be Live Tenerife Hotel is located just 300m from the beach and offers couples an ideal holiday place to relax. The large outdoor pool with sunbeds and umbrellas is perfect for relaxing. Enjoy modern rooms with air conditioning, high-quality parquet floors and complimentary toiletries in the bathroom. Wfi for a surcharge. 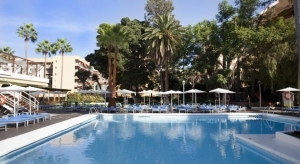 The Hotel Be Live Adults Only La Cala is a modern hotel with exclusive services only for adults: a place of tranquility and relaxation, located just steps from the center of Palma and in front of the beautiful white sandy beach of Cala Mayor. A fantastic and customized holiday for adults only.